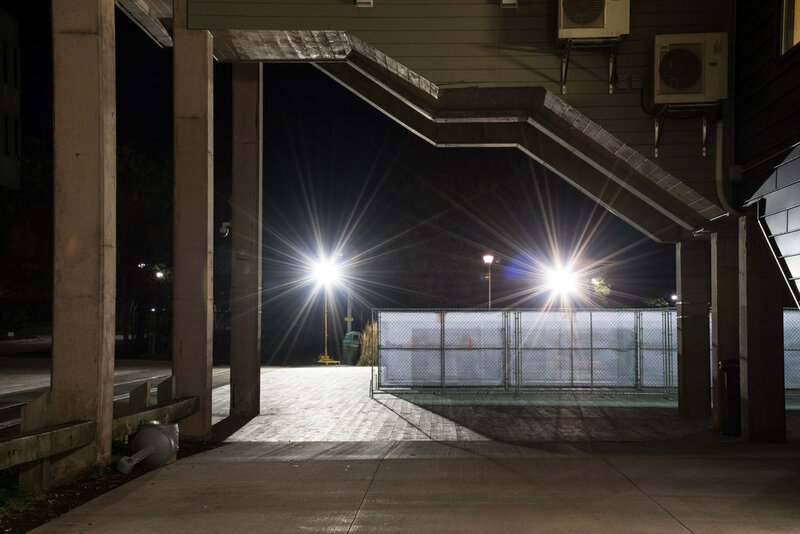 Installation: digitally printed mesh banners, chainlink fence panels. 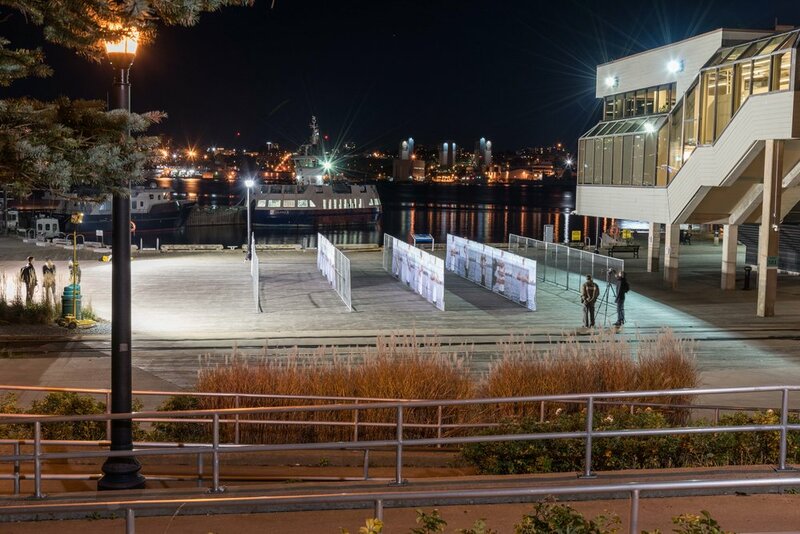 Presented in Dartmouth, NS with: Nocturne: Art At Night, 2016. 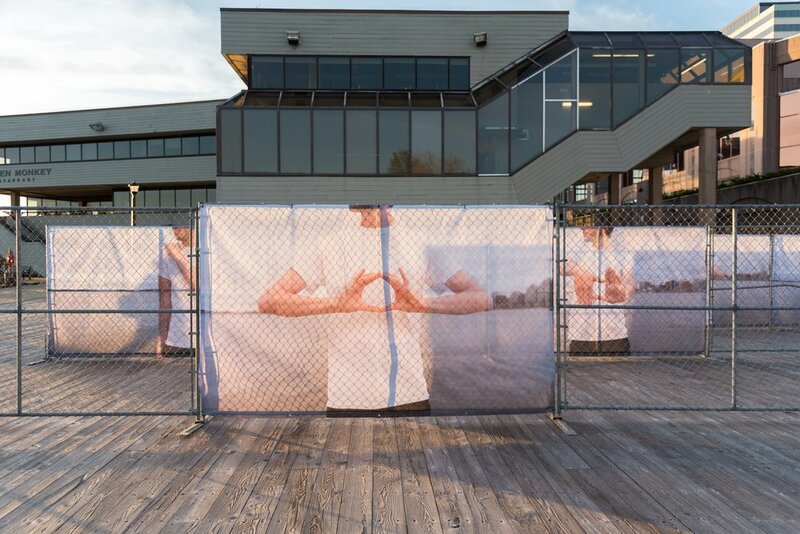 Take Cover consists of (13) six by ten foot, digitally printed mesh banners presented on chain-link fence panels. 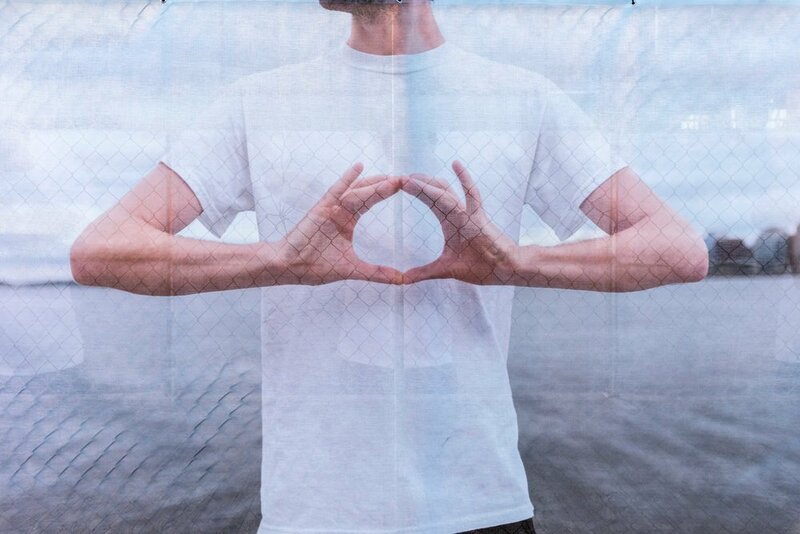 The banners are of photographed poses which correlate to letters from International Marine Signal Code flags. 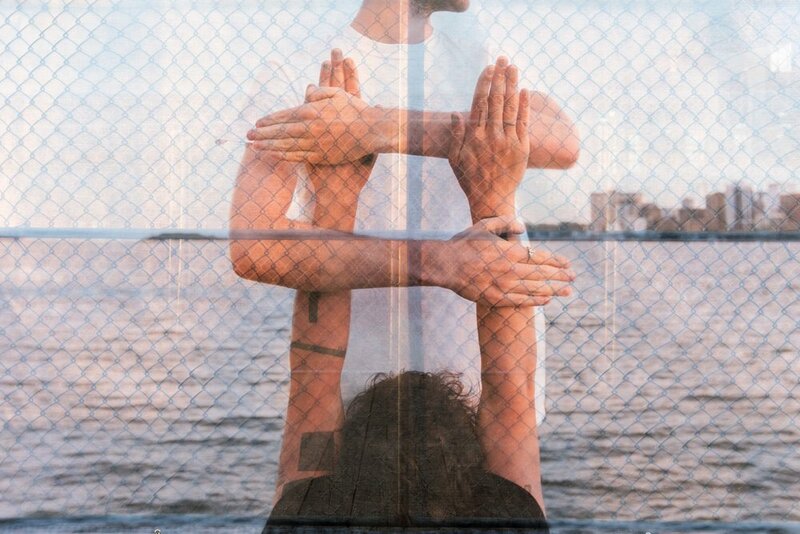 Through these poses, two bodies spell out a response to the mass shooting of the Pulse Nightclub in Orlando, Florida, June 12, 2016. Like the queer dance tradition, Vogueing—through which queer bodies emulate poses from high fashion magazines—these bodies take on the geometry of another language which has historically excluded queer representation. Both appropriations assume postures to assert power. Bodies emulating the geometry of naval code signals to and question the institutions—navy, military, government—which stand for collective protection. When read collectively, the poses spell out lyrics from soul singer, Gladys Knight's song "I Hope You Dance." Covering these much repeated lyrics, the work enacts a prayer for those effected by the attack. 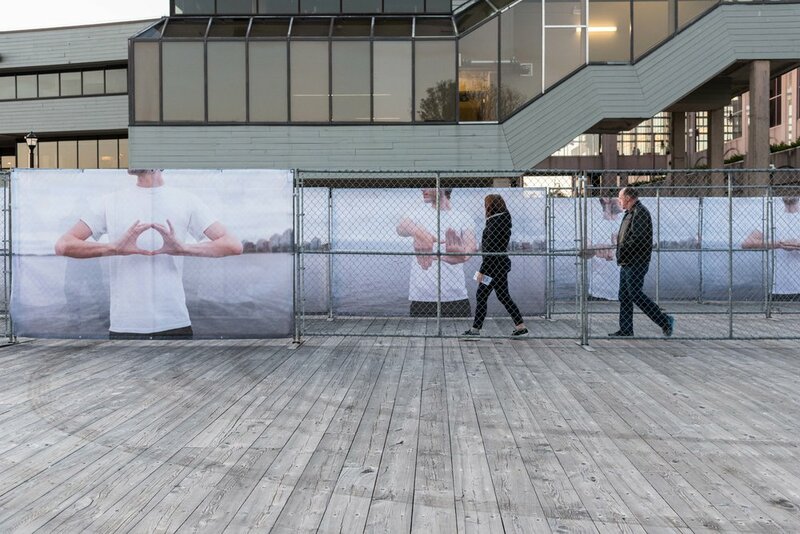 Photographs on banners, and photographs of installation by photographer: Katherine Nakaska.